This week we have Dr. Dave Nicol on the podcast, and we talk about marketing strategies and principles that will help to grow your veterinary practice. Dr. Dave Nicol is a marketing expert who speaks internationally on veterinary marketing, management and staffing. Dr. Nicol has a very unique perspective on marketing because he owned a practice, which he just recently sold for a really nice return, that he grew by using digital marketing. 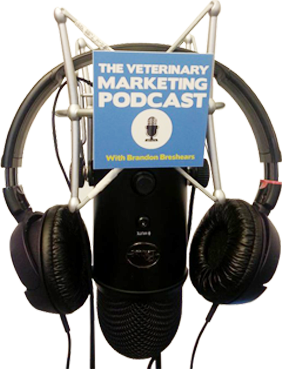 We discuss everything from his ideas on social media and how to properly use social media for your veterinary practice, best practices for collecting emails, as well as a great way to quickly evaluate PPC and SEM agencies. We also dive into several marketing principles that have allowed Dr. Nicol to grow his client email lists so that he can drive clients into the practice and create paying clients.